My name is Ryan Haack. I have one hand. I was born in 1977 missing my left forearm and have remained as such ever since. It’s cool, though. In fact, missing my hand never made a bit of difference to me as I was growing-up. I was just a regular kid who loved sports and got into trouble from time-to-time. It wasn’t until a couple years ago that I even realized there were more people out there “like me.” With that realization fresh in my mind, I launched this blog with the hopes of sharing my experience and helping others in the same situation. This goes beyond just the limb-different community, though. I desire to help people realize they are valuable. They are lovable. They are important. They are awesome! Hopefully my story, my life, will help you to find and live yours. Do I Really Need To Be Healed? Video interview with Berni Xiong for The Shut Up Show! That’s so sweet! I’m a pastor in Madison, WI. I just turned 31, and I was born with a ‘funny’ left hand, lovingly called my ‘stub’ – no fingers – just a lump with some ‘nubbins’ on the end. It moves. It’s cute. I find the more comfortable I am with myself (and my stub)the more comfortable people are with me. I can’t imagine having something like missing a hand and not having a sense of humour. I’m so happy to see someone ‘like us’ out there sharing stories and guidance with love, kindness and laughter. PS I started a blog a few months ago, and have just recently -inspired by you- given it an overhaul, and some attention. Thank you so much for being you. Looking forward to becoming friends! What is your blog address? I’d love to follow! I was born with a left hand almost identical to yours, but we call it the nub! LOVE your blog. My husband, Ryan, and I have 2 sons, Ethan, age 7, and Noah, age 5. Noah has a congenital limb amputation below his left elbow, and has little nubs for fingers. He is definitely our strong-willed one! I’m praying that he will grow up with a good sense of humorous about his arm, and other people’s reactions to it. He can be a bit sensitive, in general, and I know its going to be up to him to put other people at ease about it as he grows up. He’s a risk-taker though, and more outgoing than his brother, so hes got some personality traits that should serve him well in life. I wish he knew at least one other kid with a limb amputation though, so he had a peer who could relate a little more. Your sight will be great to show him though, and I think hes going to love that you’re a pastor. Thanks so much for doing this, and God bless! This was very sweet, Melanie. Thank you. And Noah sounds like he’s on the right path! I hear you about having a peer to relate to. That said, I never knew anybody else with one arm as I was growing-up. I just integrated into the two-handed groups of kids around me. I bet Noah will do the same. That’s awesome, Amy! So glad this has been helpful. My son, Jack is three and was also born without his left forearm. Thanks for such a great site! Most days I don’t even notice Jack’s lack of an EXTRA hand, but the days when “someone points it out to me”. It is nice to have somewhere to go laugh! Just a short note to let you know I just found your site today and enjoyed the “how to zipper a jacket” video. I too seek jackets with zippers or velcro and only resort to the zipper when it is really cold/windy. I was born without my lower left arm. Like you I have the whole elbow, but less than an inch of the lower. I am a successful shriners child with a storage tub of old arms for spare parts. I now live in Oregon, but was born and raised in Hawaii where servicing a broken prosthetesis was not easy. If you get out to the west coast, please drop me a note. I look forward to following your blog and will share with others! PS: Small question, Did you ever have a problem with your spine like scoliosis? I think im starting to have one because of different weigh on my arms ( left bigger bcs of whole hand than right) and im just curious if you ve been through something like that.. i should wear a prothesis but i got my first only last year, that makes 15 years without it and im getting used to do things witout it.. so i dont consider that as a solution 😀 Which brings me to another question – do you wear a prothesis?.. Thanks :)..
I’m so glad you found us, Lukas! Believe it or not, I actually went to Slovakia back in 1995! You were only a baby then! 🙂 I’m really glad you commented! Thanks again for writing and stay in touch! how do you type? do you have a different keyboard setup? I use a regular keyboard and just type with my right hand. A video is on the way! Christine i’am 16 and miss my left forearm as well, but i can’t only type with it. It is great for gaming! I can play games like Call of Duty, Battlefield and Grand Theft Auto just like other players. Even though i say so myself i’m pretty good at it too! 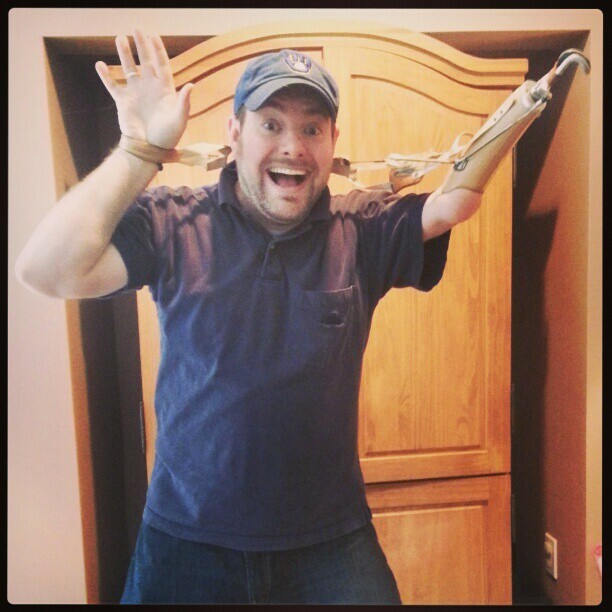 I am so glad to have found your site, I have been searching for ages for a positive insight into living with one hand. My three year old son was born with no fingers on one hand and I have so many questions which I will hopefully find on your site. Glad you found us, James! Feel free to email me or join the Facebook page and ask questions there! So exciting to find this site! Thanks! I also “live one-handed”. I was born without my left hand. Over the years I saw many wonderful doctors at Shriner’s Hospital in Chicago. I used a prosthetic for awhile, but came to the conclusion that I did better without. It’s exciting to see how far technology has come over the past few years regarding prostheses. I lived in Madison for a few years and am now just a short distance away. It’s wonderful to know there are more of “us” out there. Thanks for creating such a wonderful site! Glad you like the blog, Chelsea! Madison is great. Where are you now? Thanks for your kind words and stay in touch! Joined you on Facebook a little while back because my son basically only has use of his left hand due to an in-uetro stroke. His right hand does not fully function and is usually just support for carrying items. What I like about what you do is that you show everyone that almost anything is possible with just one hand. And sometimes YOU can do it better. We were told by a friend’s son that Scott plays video games better than alot of his friends with two hands. We are in Chippewa Falls, WI by the way. Sorry some of what i typed got deleted hope it makes sense??? This is my first visit to your website and I can’t wait to share it with my 10 year old son. He was born without his left hand and forearm; his positive, can-do attitude has never ceased to amaze me. After he was born I started a support group in the Twin Cities called “The Little Fins”. We started out small but now we have over 75 families on our mailing list. Gerry never needed the support group, I did. He comes to the events against his will but I tell him other families need to see how wonderful he is so that they know that their child is going to be okay. I told him doctors told me that over and over when he was born but I never believed them. I wish I could have met someone like him when he was an infant, I wouldn’t have worried so much those first few years. Now he is a three sport athlete (hockey, baseball and football) and wants to try EVERYTHING. We have never said no, just threw him in there and let him figure it out. He had another member of our Little Fins group come watch his hockey district play off games and he was so proud to be able to show someone how it could be done. The other day he got an autographed baseball card from Jim Abbott – he told me one day he wants to be famous and help other kids just like him. I haven’t gotten through most of this site yet, to be honest its stirring up a lot of emotions that I haven’t felt for a long time. But I’m so happy I found this and I think G will love reading it. Thank you for creating it! Sonja – this is so wonderful! Thank you for sharing! Gerry’s upbringing sounds VERY familiar. 🙂 Keep up the good work! I have no doubt he’s going to change the world for the better. And your “Little Fins” group sounds amazing! I’d love to come up sometime and be with you all. Keep in touch! My son was at the Verona, WI Culvers having ice cream with a few buddies when he saw your card on the bulletin board there. He brought it home. What’s interesting is that my son Luke was also born missing the lower part of his right arm and we also live in Madison, WI. Where are you a Pastor? I would love for him to meet you. hey Ryan it’s Luke, it was really nice meeting at the Culver’s. Your stories were really great and I REALLY like them. Hope we can get together again. We are finishing (yayyyy!!! and gulp! 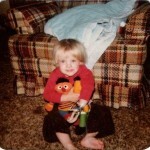 :-)) an adoption of a toddler who was born without his right hand, and I LOVE your blog!! I really appreciate your positive outlook and honesty. I found your site by pure chance. Let me tell you something about me. I´m Jitka, 21 old girl, living in Prague, Czech republic. Your web interested me, because I never thought site of this type could exist. But why am I writing about this: I live one-armed for 8 years. I was health until my 12 years, when I broke my arm (but I didn´t know it, it hurted, but I took it easy). I couldn´t stretch my arm so I visited doctors and many rehabilitations, but it didn´t work. After some months I found bulge on elbow and doctors told me it´s tumor so I started with chemotherapy and I spent 1 year in hospital. During this hard time I prayed to God and believed that he heals me – God helps me, He is good, isn´t He? But doctors told me that chemotherapy was too poor and the amputation is necessary. In that moment my life went down. I couldn´t believe it! Why God didn´t save me? Why He didn´t hear my prays? Why me? I was only 13! I had dreams, plans and now I couldn´t do them! I felt anger, disappointment and I had many questions in head: What I´ll do now? I wanted to bea teacher in kindergarten and now I cannot be! I´ll never been in a relationship; which boy would like to have one-armed girlfriend? But I understood that my life was changed, but not ended. After some years I found answers on my questions, not at all, of course. My plans had to be changed and I tried what I can do with one arm. I had to learn usually works like writting (I was right-hander), washing, clothing and many others. I had new plan to future – I want to help people, especially disabled. I stopped asking myself „Why me?“ and now I say „Why not me?“. God gave me chance live my life better way. And now? I study on Charles University subject Social work. With time distance I see that it had sense! Maybe I could never meet friend because of it. Maybe I never belief in God because of this experience. Yes, we are different – you have been born without hand, I „lost“ my arm in thirteen. You started to learn all skills as a small child with growing, I started to learn skills from one day to day (not sure if you understand – sorry for my english :)). But I think I can say that all people without hand (or leg or anything) are very dexterous and skilful. Have a nice day and God bless you! Hi Ryan, I have two hands, but one does not work along with the rest of that arm. I have a brachial plexus injury that i got 32 years when a hunter shot me accidently because he thought i was an elk. My injury leaves me with the same challanges you have so i enjoyed it when i came across your videos. Facebook has a group called brachial plexus, you should check it out, they mostly all have the hand but it is not working. we need to all keep each other positive, keep up the good work……. Hey Ryan, my friend has two hands, but he’s doing dialysis, so he spends hours at a time with one arm flat out. He likes reading but says he’s finding it impossible to read heavy books with one hand. He won’t use an ereader (he’s an unreconstructed Luddite). Any ideas? 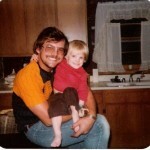 Just started following you on livingonehanded.com and I have a question for you, if you could be so kind to answer. I am a mother to a wonderful 13 year old son, Benji, who was adopted from China. He was born missing his hand at the wrist. His fully formed hand and wrist have been hurting (I imagine from overuse? ), as has his “stump”. Have you experienced this? He does say the stump hurts sometimes in cold weather, but this pain he is having now is more a daily thing. He is scheduled to see his pediatrician next week and go from there. Thank you for any thoughts or insights you can offer. Welcome, Melissa! 🙂 I’m going to post this on the Facebook page if you don’t mind. I think you’ll get a lot of responses there. Join us! http://www.facebook.com/livingonehanded Thanks! Awesome! Thank you, and I will check the FB page. Thank You! I have been following you on FB for quite awhile. My son Aidan was born with his left arm amputated below the elbow. You help to reinforce that Aidan will be okay when he steps out the door. He is a very happy loving young guy, but he hates to talk about his arm or talk to people in similar situations. I show him your videos- he loves you! Hello Ryan, I am so pleased I discovered your website. I did not realise how many people are the same as me. I have my right hand missing (from birth). I have a wrist and a stub which has little nodules on it. I am in my sixties now and my hand has never held me back! My parents brought me up to be independent and what a blessing that was! I married, had children and now have grandchildren. I also had a responsible career and have always managed to overcome difficulties, with one or two exceptions. These include climbing a rope, cutting a steak and shaking hands (I offer my left hand and let people work it out for themselves). I live in London England and am pleased to say that attitudes here to disability have changed for the better during my lifetime. I shall look forward to revisiting your forum in the future. I am a LEA from an auto accident in 2002. I started a website for young women and girls coping with limb differences with my family in 2004. I often watch your vids for helpful tips of tricks. Keep up the good work. Aww, thank you! What’s the link to your site? I’d love to see it! So tonight I went to Ruby Tuesday with my boyfriend. During the meal I got up to find my way to the bathroom and as I was washing my hands, another woman turned on the sink next to me. She nearly scared me to death, she jumps and exclaims oh my goodness! I look at her and she’s staring at my arm. “My son has an arm just like yours! Would you come out and meet him? !” As she finished washing her hands, she explained to me that her son only has half an arm, just like me, he’s a little boy and that they taught him, from the start, that he can do anything, and by the looks of it, I’m pretty sure he could. She led me over to her table when a little boy, a baby, and a father were sitting. She says to the boy, “I’d like you to meet Shaniah.” He turns to look at me, standing behind her and he looks at my arm and gets just the biggest smile on his face. His mom continues to tell me about “The Lucky Fin Project” website and that’s kind of how I got here..
Wow! I love this website! Hi, my name is Tom. I too was born with one hand but I’m missing my right one. My right arm extends to almost the wrist but that’s it. I’m 47 years old (almost 48…ugh) and married to an amazing, spirit filled woman. We were both married previously and between us we have 7 healthy, beautiful kids, 5 of which are teenagers! I’ve been an air traffic controller for the past 26 and 1/2 years and I was a volunteer firefighter for 10 years. I joined my local department after 9/11 happened and I was a full fledged, interior fire fighter. It was a great experience but I moved to a new town so I resigned. It was perfect timing because I was starting to feel really old every time we had a call or a drill. I’m also on a pit crew of a NASCAR Whelan Modified Series race team that races all over the Northeast. My family has been into auto racing since before I was born so it’s great to be able to be on a pit crew with my two uncles. My dad passed away when I was 10 so it’s really nice that I’ve stayed this close to his two brothers. My wife and I lead worship at our church every Sunday. She plays piano and sings and I sing. I love singing and singing to God is the best!!! I also sing the National Anthem for our local minor league baseball team here on Long Island about 10 times a season. I’ve been lucky enough to sing the Anthem at a Major League Baseball game and a National Hockey League game. I’m not really sure why I felt inclined to write all this. I’ve been asking God lately why he made me this way and I have a feeling He is going to show me real soon. i really love this site.very touching and makes me feel alive.im an african,born and resides in ghana.i lost my right arm in an accident and have also been living right handed as well.its great getting in touch with you guys all.am hoping to make great christian and loving friends all over the world.marfosnot@yahoo.co.uk is my email.Ryan u are very smart n brilliant. Thank you for spreading information about living with one arm. Although I’ve been looking, I can’t find anything about toys with one arm. My grandson was born with an above the elbow congenital amputation of his right arm. I’m about to travel from Florida to Los Angeles to visit him as he turns 2. I’d like to bring him a toy with one arm. First of all, do you think that is a good idea and secondly, if you do, where would you find one? Actually, I was specifically discussing one armed dolls. I’m wondering if it would have a positive effect, negative effect or none at all as it pertains to his self esteem. Thanks. Hi Ryan. Love your blog! My 21 year daughter was also born with only her right hand. I just wanted to share with you the latest tale she had to tell. She works at the mall in a shoe store and was approached by a very curious youngster, about 4 years old. The little girl asked about her arm and my Disney loving daughter brilliantly explained to the little girl that she was just like Nemo, born with a lucky fin! Given up for adoption in Russia as an infant, her attitude and outlook in life have always been amazing. She has been a wonderful gift to our family and we thank God every day that she is ours! Hey! I already left a comment but I can’t seem to see it! So let’s try again! My boyfriend, Wyatt, is very shy about himself. He was born with out his left forearm. He says the hardest part about him being this way is when people stare, he always wears a jacket in public. He’s 17 and I just want to know, we’re you ever shy about this? He him self is VERY outgoing but no matter where he is, he is always wearing his jacket. I love you videos by the way!! Hello, just discovered your website after searching for a prosthetic attachments I can stand wearing long enough to pursue my hobbies. Im a 27 y.o. Army Veteran, I lost my right hand at the wrist to an IED in Iraq. I find it interesting to meet and chat with other amputees, Whether they were born that way, life altered or as i like to refer to myself as “Combat Modified”. Im the type of person that HATES being reliant on ANYTHING so the prosthetics and I arent very close. I consider myself pretty resourseful and prefer to figure out a way to accomplish my goals without a device. In some cases such as TIG welding and Competitive Shooting sports where I gotta grasp something with both “hands”. I do public speaking and very much enjoy explaining my situation and how I cope. So, keep up the good work, and I generally wear Large sized gloves if you ever want to split a pair! Thanks for a site like this.. I am 20 years old.. was an igcse candidate.. lost my right hand 2 years back in a serious trauma.. you know its tough to adjust with the world of two-handed.. makes me depressed as I couldn’t manage yet to fix an artificial arm.. people looks negatively at me.. went outside of home very rarely during the last two years and only for medical purposes.. a melancholic life indeed. Hello. I would like to start off by saying I absolutely love this website. I have the use of one arm and at times,I get discouraged. I was in an accident involving a gun 13 years ago, and it paralyzed my left side,causing me not to be able to use my left hand or arm. Needless to say, it has been quite a challenge. But after years of Rehab,and me being stubborn,there is really not much I cannot do. I have learned to tie my shoes,cook.clean,I type 43 ,minutes one handed, I do pretty much everything everyone else does. And if there’s something that presents a problem that requires two hands, I find a way to do it using one hand or I create a way. I have found a few things that are hard to do, seeing as my left side is paralyzed,including my leg. If you’d like to hear my whole testimony, I’d be happy to share it with you. But,as I said, I love this website and I’m so glad my Husband found it for me. If there is any pointers or advice or encouragement I could give, feel free to lert me know. I find encouragement by reading all your stories!!!!! I look forward to getting to know other people who have faced similar obstacles as me and have learned to overcome them! No problem! I’ll be sure and post my testimony as well as my story as soon as I get more time! I actually go to different churches and share my testimony. I wish I could still do that! But,as I mentioned, as soon as I get time I will go “like” the facebook page and share my story. Another thing my Husband started saying was because I have a “disability” I don’t like using that word, so he says, I am differently abled. I have a “different ability,because as many as you guys who also have the use of one hand, we do not want to be labeled as disabled,but differently abled,because we may do things a little differently,but we can do things just like everyone else,we just go about it in a different way! Anyways, Have a great day everyone! God Bless! Hello: My daughter (12 years old) does not have a left hand–she has about 1/4 with just very small stubs showing the start of fingers forming. She gets bullied at school for not having a left hand. Now she has anger issues about it and I really do not see any improvement from counseling. Since you live with not having a hand, plus a pastor by vocation, can you please, please, please help me to guide my daughter? My daughter refuses to do new things because she thinks only about being different, being stared at and feeling like a “freak”. I understand her feelings, however, I would like to help her change her thinking. My daughter is very beautiful, bright and does so well that many people forget she does not have a left hand (my daughter was born in China & we adopted her). We have gone to Hand Centers and found that she can only get an artificial hand glove. Because she has 1/4 of her left hand, she cannot get an prosthesis. I know the hand glove would only be a cosmetic thing and would actually hinder her. Please provide any help with this. My daughter has not have a fully developed left hand. She has 1/4 of a left hand with only very small stubs starting to form for her fingers. Because of this, she is being teased in school which is a catalyst to her having anger issues and a poor self-image. Yes, she is going to counseling, however, I would like to find a way that my daughter could actually speak with someone who is living what she is–living without a hand. She said that people doesn’t get how you actually feel and what you have to go through to do everyday things. How it makes you feel like you can’t do anything wrong because if you do, people will know at you as being a “handicapped” person. My daughter loves playing the drums but her music teacher will not allow her to play anything but the bass drum. Again, she feels like she is different and cannot be like the other kids. Because she feels like a “freak” and very different then everyone else, she is closing herself to trying and doing many things. I so want her to change her thinking. Do you have any suggestion on how I can help her? We are trying counseling but the counselor isn’t touching the “without a hand issue”. She is focusing on “doing you school work & passing issue”. I’m not sure how to reply to you other than to say don’t ever let your daughter think there’s things she can’t do…and don’t ever settle for teachers (i.e., the music teacher) or anyone else limiting her or telling her she’s limited. I was born without a right hand. My arm extends to almost the wrist but that’s it. I did indeed have a prothesis when I was a child. I wore a hook from when I was 3 years old until I was about 15 and then changed to a prosthetic hand which wasn’t very useful but I figured the girls would like it better. I didn’t have too many instances where another kid would make fun of me. It never happened when I was wearing the hook and I realize now that other kids were intimidated by it and that was the reason they wouldn’t make fun of me when I was wearing it. In gym class I took it off and there were some problems then when kids would make fun of me. Most of the times I handled it myself. I would say things like, “you are only making fun of me because I’m doing things better than you and you have 2 hands…” I had enough friends that would back me up so that would help too. I also had a wonderful gym teacher in elementary school…he would never let anyone say anything about me having one hand and he would push me to do better than the rest. I certainly wasn’t the best athlete in gym class but I did everything every other kid was doing and that gym teacher was a true blessing. I’m not sure how spiritual you guys are but that was the biggest thing that got me through my childhood. I always knew God was with me. My mom taught me that “I could do ALL things through Christ who strengthens me” at a very early age. Any time I seemed to forget that she would remind me. She NEVER let me say the word “can’t.” I truly wasn’t allowed to say it. If I couldn’t do something right away that others were doing then I could figure out my own way to do it. So God gave me the strength and fortitude to do everything and he still does. I was never really limited at all in my life. I’ve been an air traffic controller for over 27 years now. I was a volunteer firefighter…a fully certified (by New York State) interior rated, firefighter in my local fire department for 10 years. I certainly faced some doubts by the memeber of the department when I joined after 9/11 happened but I quickly dissolved those doubts by taking the toughest training classes and doing everything that everyone else did. I’m on a racing pit crew with my two Uncles and we have so much fun. God truly blessed me with a nice singing voice and I’ve been lucky enough to sing the National Anthem at a Major League Baseball game and a National Hockey League game as well as over 120 minor league baseball games for my local team. Best of all is I get to help lead worship at my church every Sunday with my beautiful wife on piano. I’m not trying to boast or brag and I’m sorry if it sounds that way. I’m just trying to show you that the possibilities are endless for your daughter. She is NOT limited. As my mom would say, she can do anything if she tries hard enough. Don’t let anyone limit her. If she wants to play drums then she should be playing drums, not just the bass drum. If her counselor is not addressing the issues of kids poking fun at her then find another counselor. I wish I could be of more help with that issue. Children can be mean and unfortunately, girls are the worst. And girls get meaner as they get older. I hope she has some close friends…the kind that will stand by her side when the mean kids act up. Something else to consider is that although at times it won’t feel this way, things could have been much worse. As a child, I had to go to an amputee clinic every six months so I could show doctors and interns how I used my prosthesis. I had to do this so my parents would get the arm for free. Well, let me tell you, one trip through that amputee clinic and I thought I was the luckiest kid on earth. There were kids there with no arms, no legs, one leg, etc…I would actually pray and than God for only giving me one hand. I realized very young that I was indeed luckier than a lot of other people. So thankful to have found your website! My son was born in March, and he is missing his right arm at the elbow…while I know he will struggle a bit it helps hearing your stories of success! Your site is inspiring. I have put off doing some stuff(like learning to drive etc) cause of my arm, waiting maybe until I do an operation or something. Unlike yours, the problem is with my right arm. It does not reach its full length because of a doctor’s mistake at my birth. I will stop the procrastination and let you know how I get along. I stumbled upon your website by accident with just the right timing. My husband and I are expecting our first baby and we were just told that he/she will be born missing part of his/her left forearm and hand. The doctors believe that amniotic banding occurred or a vascular rupture. Whatever the case may be we have really turned to leaning on God and finding support within our church community. Right now I have a mix of emotions (how, why, what can we expect….) but I just know that God made our baby perfectly special. I love seeing that there are others who we can turn to for support who have walked a similar path. We hope that God uses our situation as an opportunity for us to help others just the same as you are. We will welcome our little peanut this November and can’t wait to experience parenthood. God bless you and thank you for speaking out for others. Thank you Ryan. My husband and I were talking about arranging a local walk next year to raise awareness. We had been brainstorming what we could call the event and so far we came up with ‘celebrating differences’. We are clueless on how to arrange something like this but we are confident that God will put people in our lives who can help. God will always find a way to use situations to benefit His purpose. People helping others, like you are, is proof of God in action. Without people sharing their stories my husband and I would be more heartbroken but now we can see that God is giving us an opportunity. Im Kalef im 21 years old and was born missing my left hand and forearm. I never knew that there were so many people out there like me! iv never met or talked to anyone like me. well let me tell you a little about my self Im all ways active, in high school I started for the varsity football team , kick box, Brazilian jiu jitsu, hunt, fish, and love to go shooting out here in the country. When I was little I had a prosthetic but quickly grew tired of it I felt that it only slowed me down so I threw it in my closet. My parents never sheltered me they all ways let me try stuff. The doctor that delivered me told them to raise me like I was a duck let the words of people roll off just like water rolls off a duck.In high school I grew very angry torwards god blaming him for my arm. After I graduated he spoke to me one night in my dream explain to me that he made me like this because he has plans for me that im an inspiration to the community that I live in. After that my faith has grown strong and I know I can only do the things I do threw Christ. I can go on and on about my life every obstacle iv over come. This website is awesome keep up the work and god bless. Hello, My name is Rachel and I was born without my right forearm in 1998. Your website is really inspirational and because of you i have today started my own blog to help girls and children with the same or similar disabilities as me. its mostly going to be girly things on my blog but i just wanted to say thank you and tell you that i think what you do on this website is great! Hey Rachel! My name is Maggie and I was born without my left forearm in 1999 and I’d love to check out your blog what’s your URL?! Hey Ryan! I just found your website and it is awesome!! Thanks for sharing your testimony! We have a precious 6 month old baby girl who was born missing her left forearm and hand and the Lord has already used her numerous times to inspire others with her testimony! She is a real miracle child (born at 37 wks via emergency C-section) and I hope when she grows up, she will continue to touch lives the way that you are! Hi there, My husband and I just had a beautiful baby boy on January 13th. He was born with both hands, but the fingers are smaller on one hand. We didn’t know ahead of the birth, so it was a surprise to us when we first met him. We are trying to wrap our heads around what this will mean for him in the future. Next week he will have an x-ray and then we’ll see a geneticist. The doctor has thrown around words like “genetic syndrome” and mentioned the possibility of heart or liver issues. It’s all been scary and overwhelming to us. But my husband found your blog and I’ve been so encouraged! Reading the comments has helped me too. My biggest fear is that our son’s smaller hand will limit him or that he will be made fun of for looking different. I love what you wrote about for Relevant, that having a strong, supportive circle of friends is really important. We have amazing friends and family and I’m starting to feel much more hopeful that our son’s hand will soon become “normal” to us and to our circle. We are praying hard that he will have a positive, overcoming spirit like you do. We believe that God will use this for His glory in our son’s life. Thanks so much for writing! Hope that 2014 will be great. I just found out that I will be a grandmother to twins ( to be born in June), however one little girl has no left hand. I am ecstatic at being a “grand” ma ma to 2 beautiful girls. I only have one Son and this his wifes first pregnancy and as it has become bitter- sweet, it will most likely be the last. Are there any facilities or recommended doctors in the USA ( I am from Australia) that provide any technological/medical services to provide any surgical intervention to assist? Or is there absolutely nothing in the form of medical progress with regard to limb complications? What a awesome website and all credit to you Pastor Ryan, I am a believer in Jesus and am still praying that God will give us a miracle, however whatever God puts on our plate, I pray He will be with us to give us faith hope and courage to be able to handle what so ever He wills. God bless you and your contributors. I was born with a stub as well. No left hand, stops at the wrist with little knotches on the top. I was raised by my grandparents as my mum in a way didnt want a ‘Disabled child’. My Grandparents never told me i was different, never had me fitted for a FAKE hand. Also i didnt know anyone growing up who was like me. I guess being raised in a large family and everyone treated you the same was a bonus and because of that I grew up with a lot of confidence, maybe to much lol. I work full time as a receptionist in the meat industry and love my job and the people I work with. Im really glad to have found your page and intend on reading as much as I can from people who i know understand how I feel and what I am going through sometimes. Found you on youtube while researching playing piano with one hand. Unlike you I was born with two arms. My problem, or blessing as I like to think of it, is I had polio as a baby. Left arm has some paralysis in it. Limits to moving it. Thanks for your web site. Encouraging! Can’t wait to learn more & get to know you. Ahhhh Wiconsin. You a Packer fan? If not its ok but I am. Dream each season of coming up there. Someday! Drop me an email if you can. Love to pen pal you. Give your hand some rest time to time. Hey. Born without left forearm. I wonder: is there a risk for my future children to inherit some kind of birth defects? That’s something a doctor would need to answer for you, but I have three kids, all of whom have all of their fingers and toes. 🙂 My understanding is that it’s very rarely something that’s passed along. Thanks for asking! I just stumble on to your site. I have been living with one hand since 1968. I have a Brachial Plexus injury to my left arm. I write a fly fishing blog about fishing in the 24 lakes and ponds here in New York City. We have both large and small mouth bass as well as carp, catfish, pickerel as well as snakeheads. I use semi automatic fly reels to catch fish with one hand. Have you ever used the Ulu knife from Alaska? For yours I have used a “rocker knife” to cut meat and other edibles. That’s really cool, Bill! I’ve never gone fly fishing, but can imagine it’s quite the challenge with one hand. I’ve never used an Ulu knife, but I’ll look into it. Thanks for writing! Just wanted to say how happy I am to have found your website and see what you are doing! My nephew who is now 8 was born with one arm and is finding it difficult to deal with the staring so I went looking for some great role models for him and some advice and am over the moon to have found you. THANK YOU. I absolutely love your book, and my 2 year old son, also born without his left hand, loves it even more. He clamors for it every night before bed with “Aah-sum, aah-sum!” Thank you so much. Not certain if you are still actively blogging but this is great! I too was born without my left hand and have done just fine. At 52 I have raised 2 amazing humans and have held down a job, gotten a college degree and been been very blessed. I just started my own blog so I am going to direct others here for a different view. I was born without my right arm.